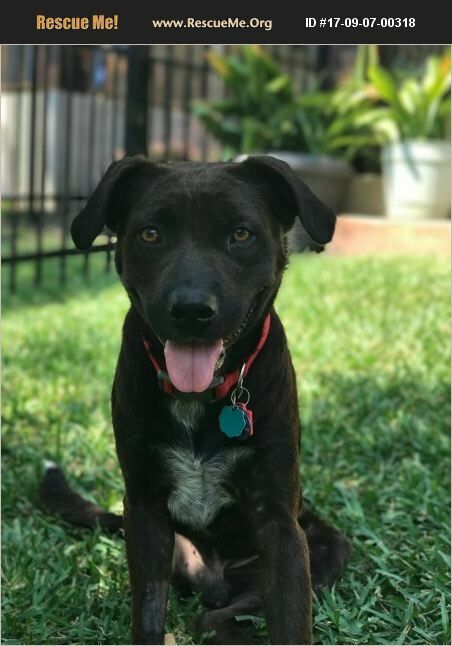 Grizzly is a 2 year old lab mix. He is incredibly sweet despite experiencing the worst of humans. Grizzly was shot and left for dead. He eventually was found and taken to a shelter to receive basic medical care. Unfortunately, Grizzly needed much more. With 2 rescues pulling together funds, he was taken from the shelter to a vet where it was determined his hind leg needed to be amputated. He survived the surgery even though he was almost 20 lbs underweight. Today, in his foster home, he is happy and healthy and really doesn't know he's lost a limb! He runs with his foster brother around the yard and even up the stairs! His favorite thing to do however, is to follow you around and give you kisses. He doesn't jump and although he is crate trained, he prefers just to sleep on his dog bed till you get home. He has been a breeze to train and will happily learn whatever trick you want, especially if there is a treat at the end! Grizzly is a sweet laid back guy who loves everyone he meets. If interested, please fill out an application here [ http://addicuslegacy.org/adoption-application.html ] and we will get back to you asap! If interested, please fill out an application here [ http://addicuslegacy.org/adoption-application.html ] and we will get back to you asap!